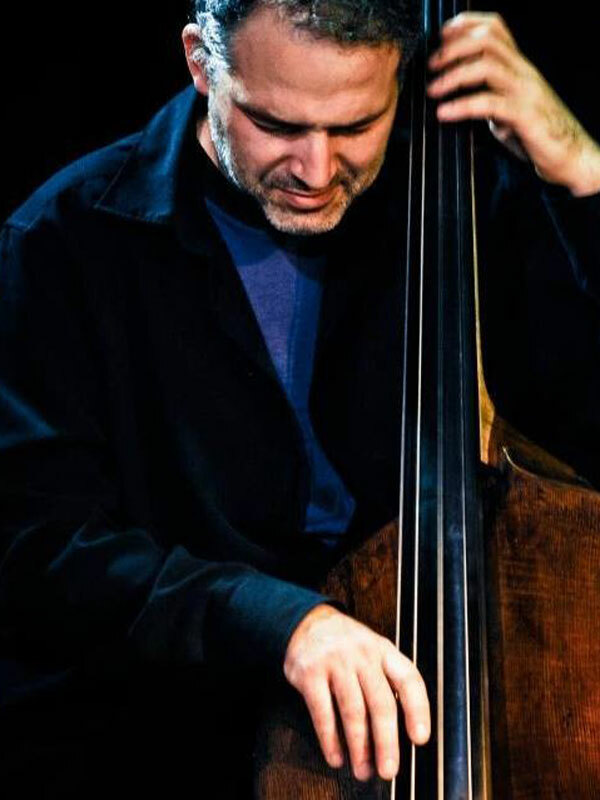 Raph Mizraki has been an occasional double bass player with the Adderbury Ensemble for over 20 years. Although classically trained as a cellist, Raph kicked off his professional musical career at the age of 14 as a drummer and pianist. Since that time he has honed his skills on an extraordinary range of instruments and is now widely regarded as one of the finest jazz bass players in the country. As a long-time member of the house band at renowned Oxford jazz club, the Spin, Raph switches effortlessly between acoustic contrabass and fretted and fretless electric bass guitars. In this role, he has appeared with many internationally acclaimed musicians, including John Etheridge, Chris Garrick, Jonathan Gee and Luis D’Agostino. Now resident in Adderbury’s neighbouring village, King’s Sutton in Northamptonshire, Raph has also worked frequently as a double bass and violone player with some of UK’s leading early music ensembles, including His Majesty’s Sagbutts and Cornetts, Concordia, and the Gabrieli Consort. As well as regularly taking part in cross-cultural projects with African and Arabic musicians, he was for several years a member of the Dufay Collective, in which he played oud, rebec, viol, dulcimer and medieval percussion. Raph has also toured Italy and Germany with the Chicago-based early music ensemble, the Newberry Consort. Other highlights in a career spanning over three decades include playing percussion for Kaboodie Theatre, Pan Projects and Tara Arts; playing keyboards for Nigerian jazz artist Gasper Lawal and the Oro Band; playing drums for Maddy Prior and the Carnival Band; and playing bass for Hassan Erraji and Arabesque, for Todd Sharpeville and the Blues Barons, and for Jamie Cullum. Raph’s playing can be heard on recordings by His Majesty’s Sagbutts And Cornetts, the Dufay Collective, the Carnival Band, Concordia, and many more.